In Episode 2, Axe ordered one of his employees to short the Cross Co. Trucking stock. Chuck Rhoades Sr. finds out about the short, and still holding a grudge against Axe for ousting his mistress from the YumTime board, decides to pump up the stock price by buying more of the stock. Axe learns about Rhoades Sr.’s aggressive move and decides to shore up his position by borrowing shares from a business nemesis. Meanwhile he also has his flacky, Hall, tip off the SEC about the Cross Co. squeeze. They discreetly let Rhoades Jr. know; he then confronts his father, Rhoades Sr., and threatens that he cannot sell his shares even though he is going to lose a lot of money or he’ll risk prosecution. 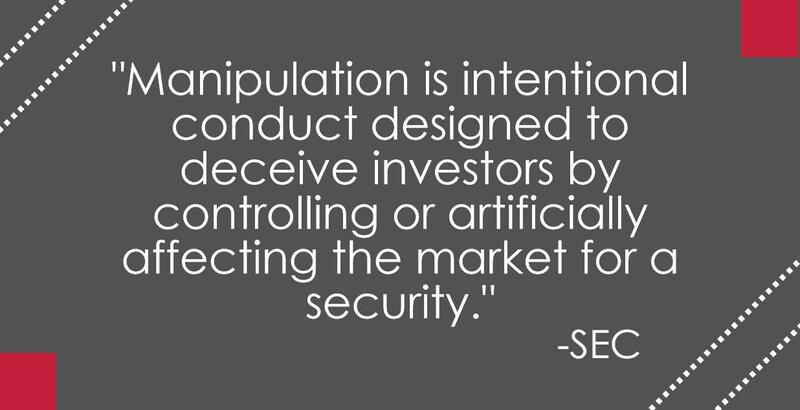 Financial industry firms have an obligation to establish internal controls to identify potential market manipulation schemes and to prevent them from occurring in the first place. Jacko Law Group, PC is here to help. If you have any questions about what to do if you suspect market manipulation or general questions related to regulatory compliance matters contact us at info@jackolg.com or 619.298.2880.